Me, exhausted from a long week? Apparently not, as I was given an opportunity to pick fruit for free today and will now be making jam. Has anyone ever made green plum jam? How about preserving grapefruit? 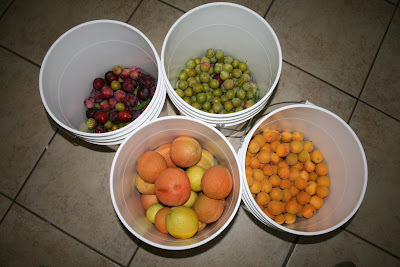 I haven't googled any of this yet, as I still have to go buy canning equipment. I never put the cart before the horse or anything. . . I might do some Italian stewed tomatoes too. . . I have 9 plants or something crazy.